UPDATED: Tue., Sept. 4, 2018, 7:55 p.m. But some noted approvingly it made a big splash and set Nike apart. 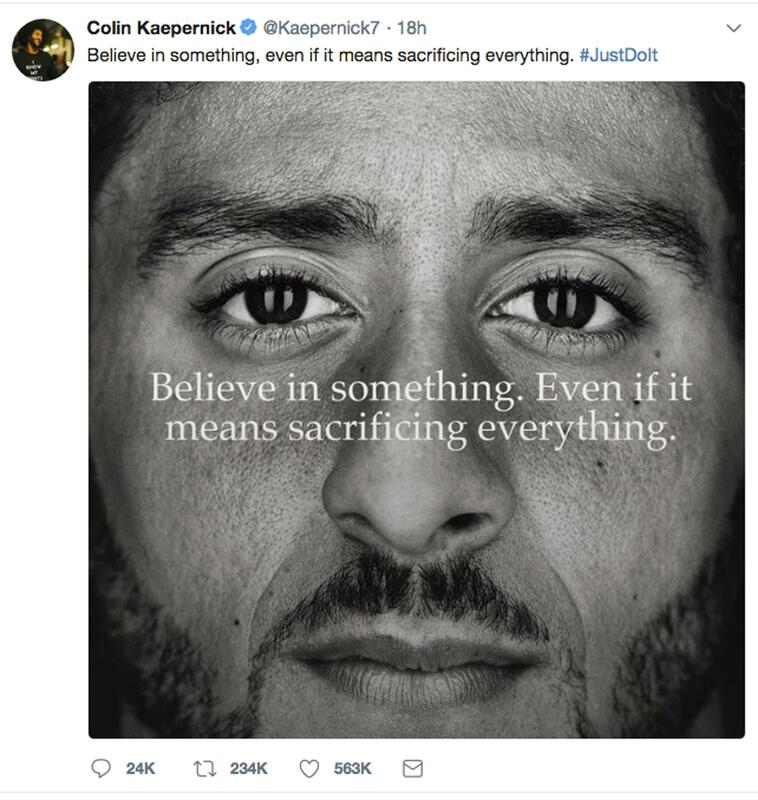 And they said it could solidify Nike’s bond with athletes, especially black ones, an important consideration for a company that relies heavily on sports stars to endorse its products. Other athletes in the campaign include tennis star Serena Williams, New York Giants wide receiver Odell Beckham Jr. and Seattle Seahawks rookie Shaquem Griffin, a linebacker whose left hand was amputated when he was 4. But the Kaepernick ad struck a nerve, timed just before the NFL season kicks off Thursday. Published: Sept. 4, 2018, 1 p.m. Updated: Sept. 4, 2018, 7:55 p.m.